It’s Josh Schoenly, and earlier this week I went live, and I walked you through my three step process for retargeting, remarketing you and your real estate business, your real estate brand. We talked about how, with this simple three step process, you can virtually have 100% of the people in our target market, who are thinking about buying or selling real estate, know, like and trust you, know your real estate brand, know that you can help them. If you haven’t watched that, I would recommend that you watch that first. What I want to do in this video is show you some practical examples, examples of retargeting campaigns that I’m running right now following that process. We build the audience, we grow the audience, and then we focus on getting into conversation with the audience, getting specifically into conversation with those that are most interested in buying or selling real estate right now. I’m going to show you three different examples. Two on Facebook and one on Google, or actually video on YouTube really, but it’s set up through Google Ads, and then we can talk about other ways and ideas of how you can leverage this as well, because this opportunity isn’t just available to you on Facebook and Google. You can actually do retargeting and remarketing on Twitter. You can do offline retargeting and remarketing as well. Before I switched to my screen share, I do want to let you know that if this is the kind of thing that you are interested in, and you want to learn and be able to implement in your business, then you should really check out our Retargeting Riches, four week, live bootcamp. We are making it free for our Pro Members. If you are a Pro Member, you’re going to get it. It starts this coming Tuesday, and if you’re not already, well we have a special offer for you, where you can get a drastic discount on our Pro Membership and when you enroll today, you will get lifetime access to that four week bootcamp. You’ll be able to attend it live as well. Without further ado, let’s go ahead and hop in here. Let’s switch to screen share mode, and I’m actually going to save this one. We’re going to do this one last, so right here, this is an example of a video that I am showing to anyone who has landed on my website or any of my landing pages, or even my Facebook page, okay? It’s a very simple message, and actually, I’m going to record an updated version of this, and I’ll explain why in a minute, but I’ll go ahead … Very simple and straightforward, and I’ll walk you through how to create one like that for those that decide to join me. The reason that I mention that I’m going to, or I’m planning to re-shoot that video is, I talk specifically about the website, but I want to make it more generic, and change the language to page. “Thanks for checking out my page,” that way it’s not specific to the website. It could have been the Facebook page. It could have been other landing pages. It’s really a small technicality, but I brought it up, so I thought I would mention that. Now, here’s the thing, I’m running this campaign at a dollar a day. A dollar a day, and it is enabling me to stay top of mind with those people that I’m connecting with, and it’s working fantastically. I’ll bring up the campaign here. I’ve reached 690 people in the life of the campaign. It’s been running for ten days. No, I’m sorry, I’ve reached 780, and the cost per result, per engagement is two cents. I’ve spent $15.80, and the relevant score is pretty good. It’s gotten link clicks. It’s fantastic, all right? That’s example number one. Now, example number two, this is one I just launched this morning. This one is retargeting, or remarketing to specifically people who have taken some kind of action which would indicate that they are a homeowner, who might be interested in selling, so they’ve clicked, or engaged with one or more of my Seller Centric Offers. They’ve clicked on a lead form, making an offer maybe for our weekly list of just sold homes in their neighborhood, or they’ve clicked on a link to the Homeowner Survey Seller Pipeline, which I recently shot a video on as well. You can find that on our blog HERE or on my page as well. 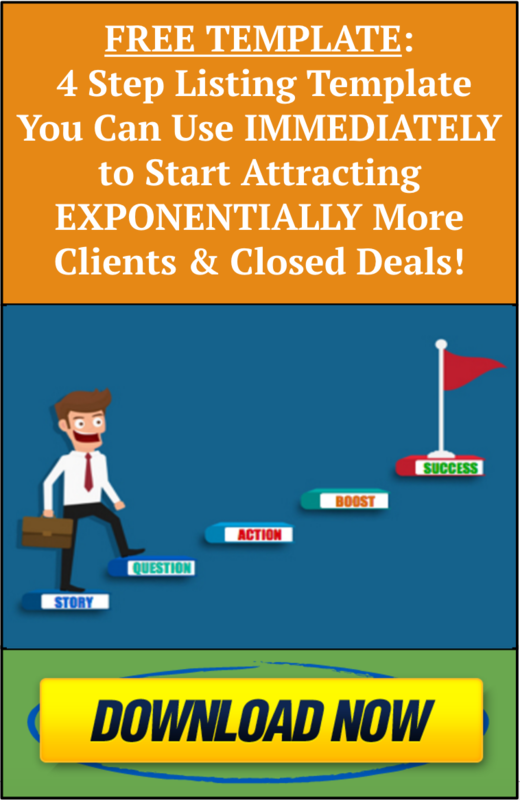 They’ve done something that has indicated an interest, so this is a specifically seller centric video message offering three free ways that they can take the next step with me. Three free services that I’m offering to them, so let’s listen in to this. Okay, so this, I literally just created this morning, so I don’t have results to share with you, but I wanted to share it as something that you can model. Now, I made both of those videos with the same software I’m using to create this video, which is Screencast-O-Matic, however … I don’t have my phone here. However, you don’t need to have the logo pop up, or that phone number pop up. That’s something you can do with Screencast-o-matic, but just take action and implement. Pull out your phone. It’s plenty good enough to get started, and implement this strategy. Let me show you one other example. This is that same video here, okay, the same thank you video, that I’m also running as an in-stream ad on YouTube. I’m sure you’ve experienced this, where you go to watch a YouTube video, and a commercial plays before the actual video plays, well that’s what I’m doing with that same video. I hope you are understanding and grasping how powerful this is, and the opportunity this is, and why I keep saying that this is a way that you can have virtually 100% of your market know, like and trust you, know your real estate brand, and understand that you can help them with their real estate needs when the time comes. You can do so more effectively, efficiently, and easier than ever. This is literally like the ability to put a billboard in front of your potential, your most ideal, potential clients, but for a literally fraction of a fraction, of a fraction of the cost of a billboard, or a TV advertisement, or a radio advertisement. This is an opportunity unlike one like I’ve ever seen, and one that I would encourage you to explore and take advantage of. If you’d like our help in doing so, check out the special offer that we’ve put together. I will put a link to it in the comments or below this video, where if you get signed up for our Pro Membership at the discounted, special offer that we’re making right now, you’ll be able to join me for the four week live retargeting course, where we’ll show you how to build your audience, how to grow your audience, and then how to get in conversation with the most motivated, potential buyers and sellers in that audience, all over four weeks, all done together. You’ll be able to join me live, and have lifetime access to that course as well. Check that out, join me for that, it’s going to be awesome. I can’t wait to hear the feedback and get the stories and the experiences from all of you. I’m going to continue to implement this in my own business, and continue to share what I’m doing, how I’m doing it, and so forth, so you can model it in your practice as well. If you liked this video, let me know. If you found it valuable in any way, please share with others in our community. Let me know in the comments if you have any questions. Also, check out the link as well, and hopefully we’ll be talking again soon, and working together as well.